This charming cottage is near the village of Mullaghmore in County Sligo and can sleep four people in two bedrooms. 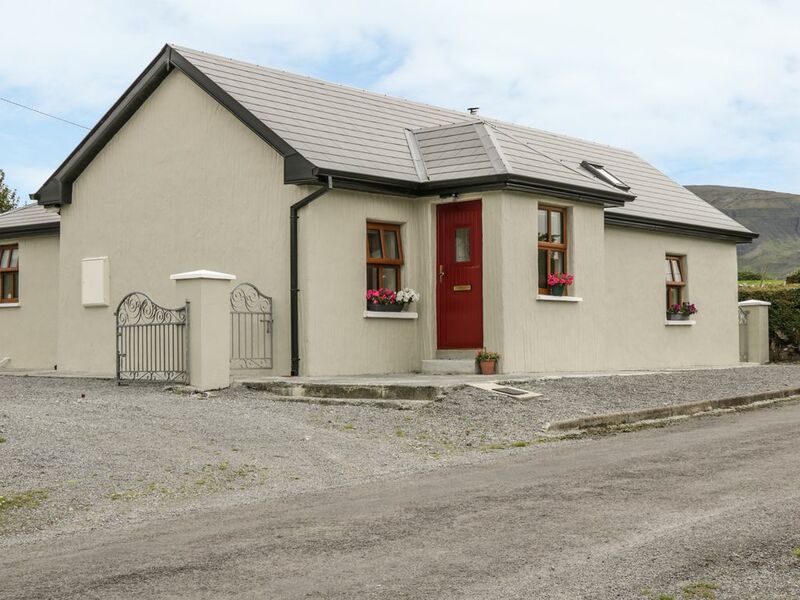 Mac's Cottage is a charming cottage situated near the village of Mullaghmore in County Sligo. The cottage can sleep four people in two bedrooms, comprising two doubles, one which is zip/link and can be twin on request as well as a family shower room. The cottage also contains a kitchen with dining area and a sitting room with woodburning stove. To the outside of the cottage is off road parking for three cars and enclosed side and rear gravelled gardens. Located in stunning countryside, Mac's Cottage is a lovely cottage for a great holiday at any time of the year. Amenities: Oil fired central heating with woodburning stove. Microwave, Electric oven and hob, fridge/freezer, washing machine, TV with Freeview, wifi, selection of books and games. Fuel, power and starter pack for stove inc. in rent. Bed linen and towels inc. in rent. Travel cot, highchair and 2 x folding z-bed on request. Off road parking for 3 cars. Enclosed side and rear graveled garden. One well-behaved dog welcome. Sorry, no smoking. Shop and pub 2.1 miles. Beach 3 miles. Note: The front of the property is open to a quiet country road so care must be taken with children. Town: Mullaghmore is a fantastic holiday destination and is one of the best big wave surfing locations in the world. The picturesque settings and unspoilt landscapes, teamed with the surrounding sea and mountains, give Mullaghmore a delightful air of tranquillity. Both Mullaghmore and nearby Cliffony have fantastic beaches and fantastic restaurants are available. Visit the Gleniff Horseshoe, Creevykeel Court Tomb, Bunduff Marsh and Wildlife Sanctuary or The Cloonerco Bogs which stretch across the Cliffoney landscape, and are ideal for nature lovers. Take the short drive to Sligo town and discover its numerous bars and restaurants, enjoy a trip north to Bundoran in County Donegal, or enjoy the walking, beaches or lake and river fishing in Cliffoney. Both the Florence Court House and Gardens and the Marble Arch Caves are an hour's drive away and are worth a visit. A lovely location for a rural Ireland getaway. Oil fired central heating with woodburning stove. Microwave, Electric oven and hob, fridge/freezer, washing machine, TV with Freeview, wifi, selection of books and games. Fuel, power and starter pack for stove inc. in rent. Bed linen and towels inc. in rent. Travel cot, highchair and 2 x folding z-bed on request. Off road parking for 3 cars. Enclosed side and rear graveled garden. One well-behaved dog welcome. Sorry, no smoking. Shop and pub 2.1 miles. Beach 3 miles. Note: The front of the property is open to a quiet country road so care must be taken with children.